Go Tigers! Welcome to Auburn AL. Looking for a charter bus rental or a motor coach? 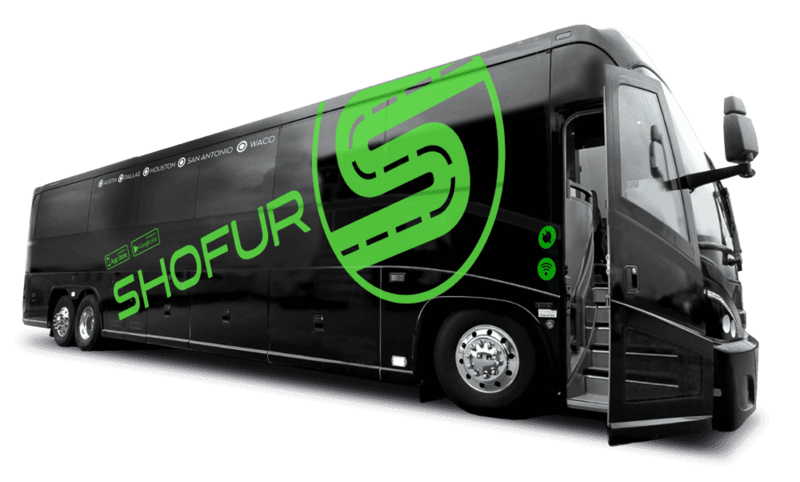 Shofur is your leading source for charter buses. Our network of bus companies can get your reservation booked within seconds for a group of any size. Call one of our travel consultants available 24/7! Best known as the home of Auburn University that shares its name, this small Alabama city offers some of the best educational opportunities and outdoor pursuits in the state. Auburn is home to a state and federal park, wildlife exhibits, historic sites and a bevy of top-notch college sporting events. Whether you're coming in from Birmingham, Montgomery, or points further away, let a charter bus service take you from hiking destinations to football games or popular historic attractions. We'll save you time by handling the driving stressors while providing you with luxurious accommodations while you travel. Whatever brings you to Auburn, leave it up to our travel agents to organize your charter bus transportation. Whether you’re traveling for a school field trip, military-related event, business outing, or any other professional occasion, Shofur can find the best charter bus or minibus to fit your trip. Shofur works closely with certified drivers who are experienced in traveling in the Alabama area, before matching their clients with their bus rentals. Our travel consultants ensure each bus driver meets all safety standards so that your professional driver can hand all the navigation and traffic with ease while you relax and enjoy the scenery before being dropped off at the best location. Outdoor enthusiasts traveling from Auburn to other parts of Alabama can streamline their travel plans with Shofur. We service the entire state and other nearby locations nationally, whether your group is traveling for business, school field trips, or for a celebration. Traveling by bus makes parking easier and more cost-effective as opposed to explorers splitting up into multiple caravans. Regardless of the distance to the park, a personal driver can make it easy to transport your entire group to and from local attractions. The Tuskegee National Forest sits just north of Tuskegee and west of Auburn. The U.S. government acquired the land during a three-year period from 1935 to 1938 in an effort to reclaim it from abuse and overuse from farming, and erosion. On November 27, 1959, President Dwight D. Eisenhower designated the area the Tuskegee National Forest. When you view the forest as it stands today, imagine that at its purchase the land was 80 percent cut-over. It's now home to a thriving forest providing hiking, camping, deer hunting in season, horseback riding and the Uchee shooting range. During hunting season, the park limits camping to 14 designated areas. The rest of the year, the park allows primitive camping anywhere within its confines. This is a common place for students of Tuskegee University to visit for its perfect terrain for recreational activities. Although Tuskegee National Forest has miles of trail ways, the park doesn’t have a shuttle service for drop-off or pick-up options in hard to reach areas. This makes finding efficient transportation to and from your cabin to the trail a difficult challenge. That’s why Shofur is determined to assisting the Tuskegee Forest Service with transporting hiking groups by shuttle to the surrounding trailheads. Additionally, large groups can streamline their travel plans from their campsites to other outdoor attractions around the Tuskegee area. With a bus, you can follow your own path through the natural wonders of Alabama! Don't miss your chance to see future professional football and basketball players play at the university that carries the town's name. During the fall, visitors can catch a Tigers football game at Jordan-Hare Stadium. During late fall to early spring, score a college basketball game at Auburn's arena. Transporting your sports team or a group of fans on game day can be made simple as you gather your group together in a simple, classic rideshare! We’ll coordinate your group of friends, family, colleagues, and teammates in a comfortable private joy ride! Watch while you ride as you keep track of your team’s rankings along the journey! Our mission is to transport as many travelers as possible in and around the Alabama area swiftly and safely. Visit the Jule Collins Smith Museum of Fine Arts to experience its permanent collections, traveling exhibits, live music venues, movies, and special events. You can tour the galleries alone or with a museum docent as your guide. The museum requests that visitors call ahead to schedule a docent for large groups. Travelers can enjoy shopping in the gift shop and grabbing lunch in its cafe before continuing on their Alabama explorations. You might want to make your next stop Pebble Hill, also known as the Scott-Yarbough House, an antebellum cottage located on the university campus. It offers educational displays and a look back into a more genteel time. Planning an afternoon at the Southeastern Raptor Center for your next school field trip? The center offers a hands-on educational experience on eagles, owls, and other birds. School groups traveling from Auburn to other parts of Alabama can coordinate their students’ field trip schedules with a professional driver. Our most common school bus rental for larger classes is the 56-passenger Volvo, while small to medium sized groups prefer to rent the 30-55 passenger MCI. Shofur also has access to luxurious, cutting-edge features to provide groups with comfortable travel no matter the distance! If you’re planning a trip to Auburn and considering a private rental for transportation, Shofur will navigate your schedule to ensure you arrive at your event relaxed and on time. As one of the top transportation service providers in eastern Alabama, Shofur offers diverse and affordable transportation services to help you arrange the best travel options for you. We specialize in assisting families and groups making their way around central Alabama. Contact one of our travel representatives at 1-800-436-8719 to plan your next Auburn adventure! Our services extend throughout Alabama! I'd like to thank Shofur for helping arrange the charter buses. Without the assistance of Shofur our sorority would have to had paid a lot more to make it to their formal. How can I check if there is availability for buses out of Auburn? ? The best way to receive a fast response is by calling. Anyone of our representative can assist you with availability and pricing.